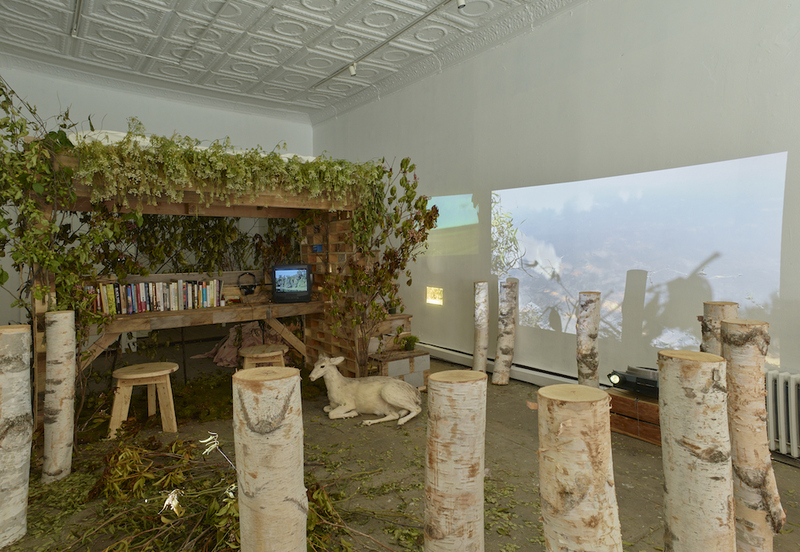 Wonder Room, on view at Recess Art during Summer 2017, was a participatory installation that transformed the gallery into a hybrid of a treehouse, resource lounge, imaginative think tank, and community environment. The installation—which was activated by imagery from the natural world; plants, animal matter, and other organic artifacts; reading materials; and curated sounds—explored the social implications of geographic space. Throughout the Session, the installation served as the backdrop to a series of programs, including a film screening, song circle, book club discussion, and communal Sunday supper. For more information, visit the Wonder Room project website.